Sometimes those road wheels need some extra cleaning power to get them back to that “like new” look. And, worse yet, that brake dust (it contains metallic particles!) can become corrosive if allowed to stand for awhile. 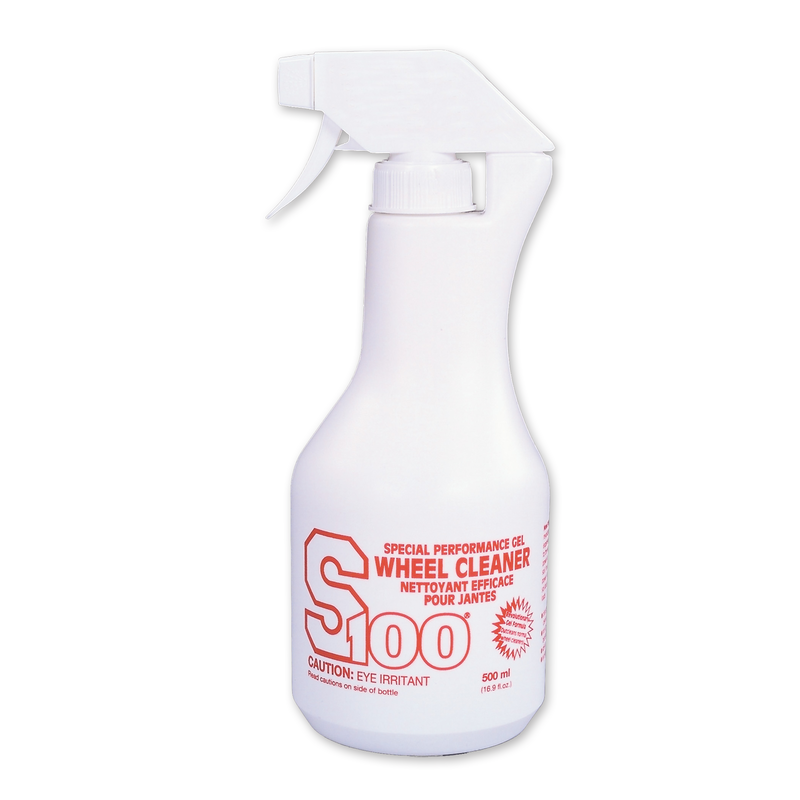 If you find that brake dust build up is hard to keep up with, we recommend you try our S100 Special Performance Gel Wheel Cleaner. 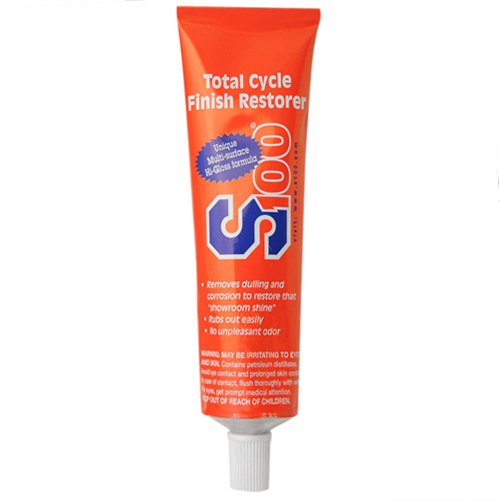 It provides up to 50% more cleaning power than our Total Cycle Cleaner thanks to the clinging power of its unique gel formulation. 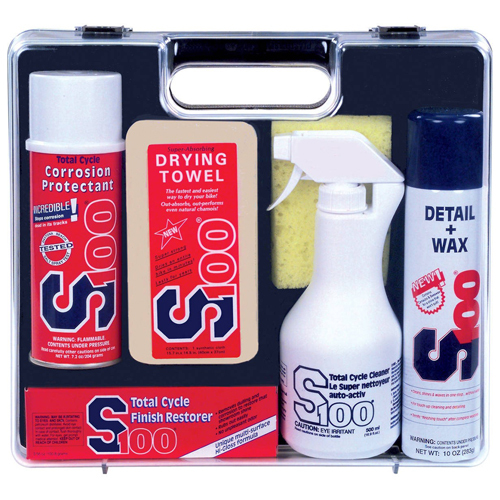 Spray on and allow to stand (you control the amount of cleaning you need, see directions on bottle), then rinse thoroughly. 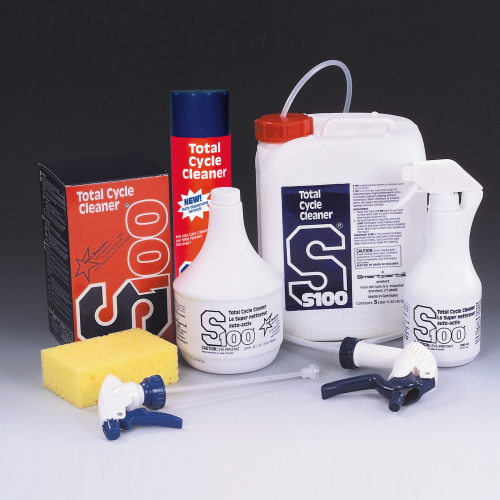 Neither acid, nor lye-based like cheaper products, S100 Wheel Cleaner provides complete surface safety for any type of wheel or wheel finish, including those tricky anodized finishes.